Sam Hamadeh is the brother of Steve and co-founder of The Painting Group. Alongside his brother, Sam learned the painting and remodeling trade through hard work and a desire to get projects done right. For over 20 years Sam has taught The Painting Group crews the ins-and-outs of proper work ethic and the need to be the best at what they do. Sam has also been a mentor in helping his son Masom understand the rights and wrongs of the painting industry. Sam feels most at home when he is physically on the job sites. Sam’s knowledge and expertise has proven to be one of the most valuable assets to The Painting Group. 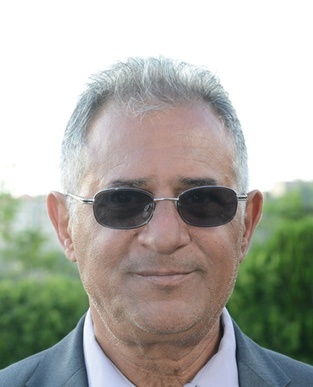 Masom Hamadeh is the nephew of Steve and son of Sam Hamadeh. He has been working with The Painting Group since April of 2003. As a teenager he worked hands on with his father and uncle learning the business. He was trained by both Sam and Steve and has over 15 years of experience in the Painting industry. He is a graduate of Kennesaw State University where he obtained his degree. 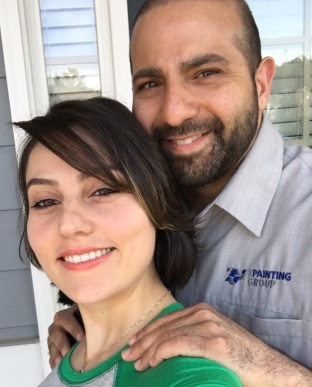 Masom’s main goal is to continue his family’s legacy of top quality customer service and ultimately to continue building upon The Painting Group’s respected reputation as being one of the best painting contractors in the metro Atlanta area. The Painting Group’s commitment to excellence is no accident! We are committed to providing the absolute best customer service found in the industry. We are also dedicated to providing you with quality work, professionalism, and customer service that is second to none. Committed to Excellence is not just our motto – it is our main priority. We have been providing the Atlanta area with top notch quality and service since Sam and Steve Hamadeh opened up our family business back in 1992. With over 37 years of combined experience, The Painting Group can handle any job – big or small, residential or commercial. We have never advertised for work due to our repeat customers and their referrals. We are meticulous when it comes to cleanliness, quality, and customer service. We strive to provide timely estimates, a detailed scope of work, and accurate time frame for our jobs to be completed, and of course – honesty and integrity. We treat our customers’ homes as if they were our own. Hard work, commitment, tenacity and the desire to do whatever it takes to be the best, but most of all, the right people – like the ones you will find at The Painting Group. → read more about why to choose us.